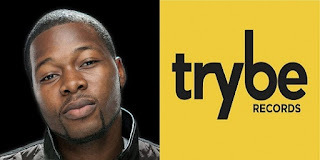 TRYBE RECORDS SOJAY COVERS DRAKE'S "MARVIN'S ROOM"
After eLDee tweeted that the highly sought after title belonged to none other than Trybe Records’ soulful crooner Sojay, Twitter went abuzz with people agreeing, testifying, wanting to find out more, and cautiously awaiting his highly anticipated 1st single which arrives at midnite, Monday, February 11th. A few people questioned and recommended handles of other good singers, prompting eLDee to issue the challenge of who could create the best cover/rendition of Drake’s “Marvin’s Room”. After sifting through emails, two standouts were clear: Sojay and his rendition appropriately titled “Sojay’s Room” which features a complete rewrite of the original Drake song alongside his smooth vocals, while the talented songstress Simi’s cover of Marvin’s Room shows the sultry female perspective. Enjoy these two extremely talented vocalists.